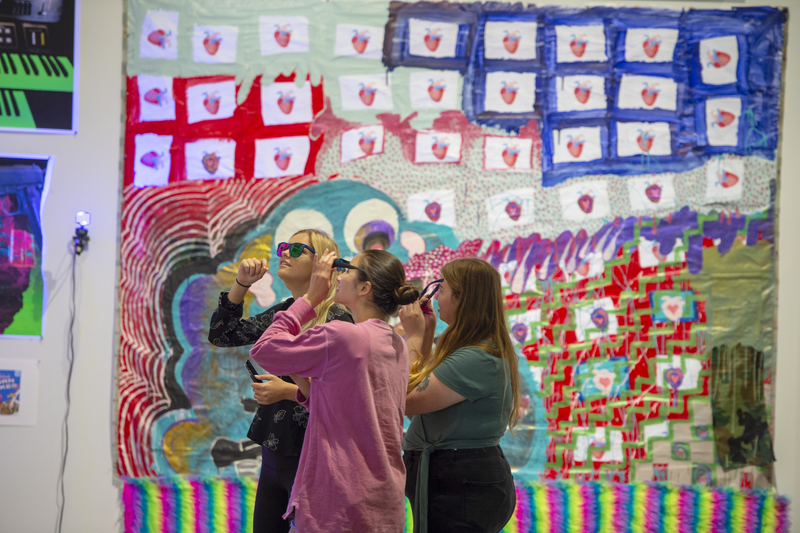 Visitors in galleries during the Grad Show 2018 opening. 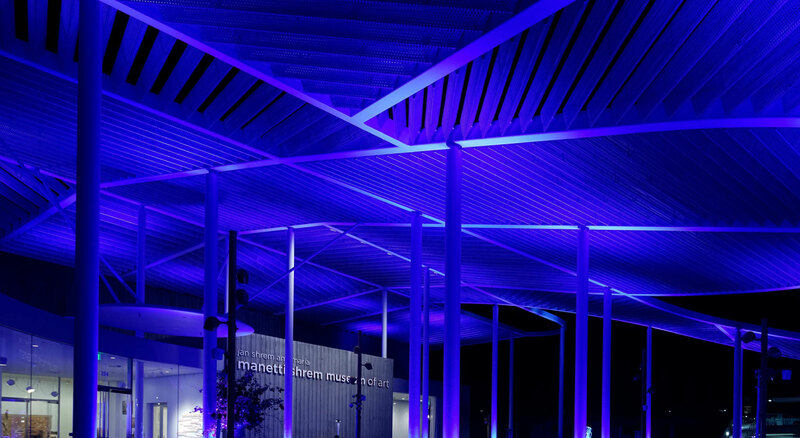 The Manetti Shrem Museum builds on the university’s legacy of excellence in the arts to bring the transformational power of art to everyone. We are committed to offering engaging experiences that reflect and serve the UC Davis community through our public events and programs. Download a copy of the winter season exhibits and programs brochure (pdf). 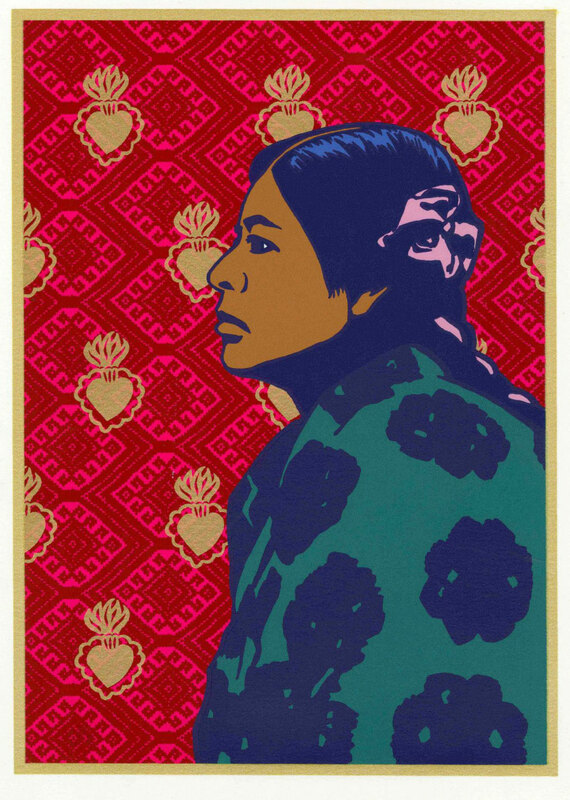 Melanie Cervantes, Tejiendo el Amor y la Justicia, 2014, silkscreen print. Courtesy of the artist. Photo: Melanie Cervantes. The Intersectional Feminism in Museums panel discussion scheduled for April 17 is cancelled due to a series of unforeseen circumstances. We apologize for the inconvenience. Xicanx Futurity will remain on view through May 5, 2019. This discussion explores recent exhibitions and museum approaches that challenge mythologies about sexuality, gender, race and power. How are museums responding in light of #MeToo, LGBTQI advocacy, Black and Brown Lives Matter, and other activist movements? Three museum leaders address the aims and challenges in confronting societal inequities in diverse cultural contexts. A version of this discussion was first presented at the 2019 California Association of Museums Conference. A brief tour of Xicanx Futurity with guest curator María Esther Fernández will precede the panel discussion, meeting in the Museum’s lobby at 4:00 pm. Don’t miss the final Third Thursday of the school year with an evening of interactivity and play. Game with student organizations Aggie Gaming at UC Davis and Game Development and Arts Club, and learn how to get involved. Watch a film screening of The Gamechangers: Dreams of Blizzcon. Discover the ultimate gaming experience featuring GameTruck Sacramento with the latest consoles and video games at 7 pm. Join us for the celebration! 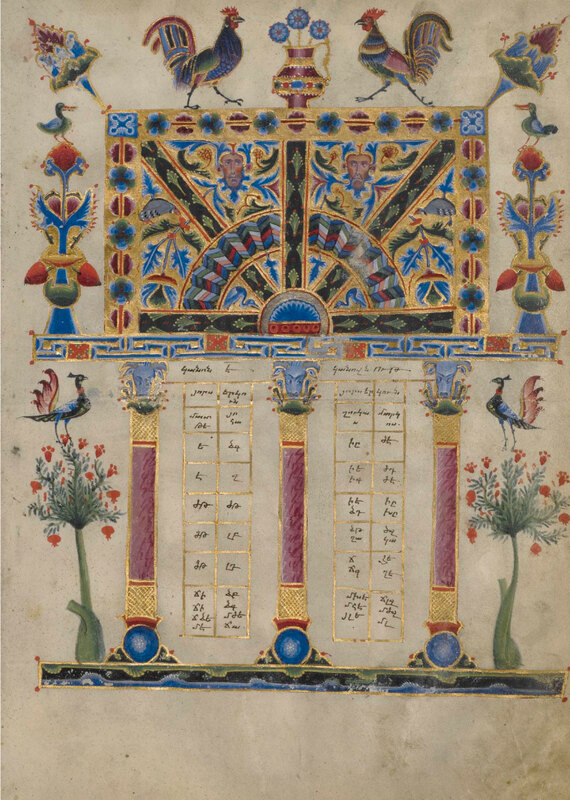 Toros Roslin, Canon Tables from the Zeytun Gospels, 1256, J. Paul Getty Museum, Ms. 59, folio 6r. Digital image courtesy of the Getty’s Open Content Program. This lecture is part of the Davis Human Rights Lecture Series, co-sponsored by the UC Davis Human Rights Studies Program and the Manetti Shrem Museum. 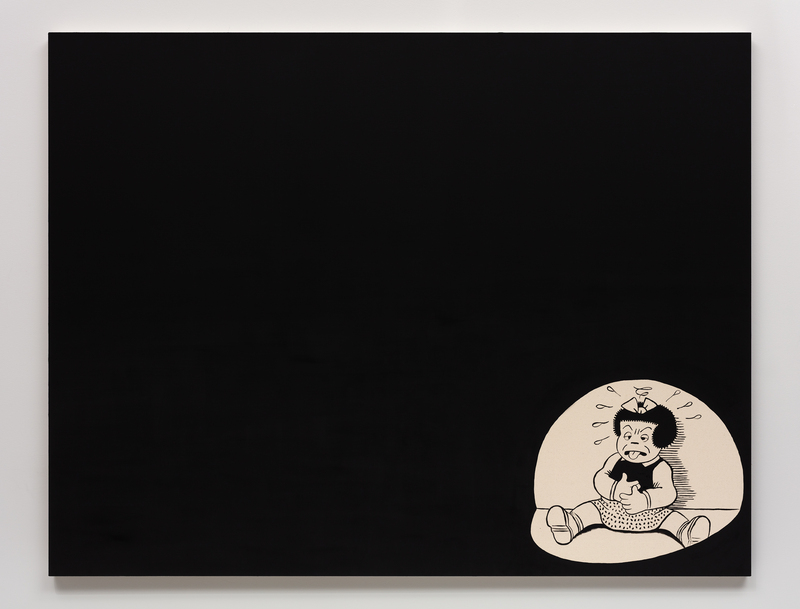 Detail, Frances Stark, Black Flag, Oil on canvas, four panels total: 72 x 93 in. each. Courtesy of the artist and Gavin Brown’s enterprise, New York/Rome. Frances Stark’s drawings, collages, videos, PowerPoint presentations, performances, and paintings have been extensively exhibited in museums and galleries worldwide. In 2017 a new suite of her paintings were included in the Whitney Biennial, her cinematic opera The Magic Flute premiered at LACMA, and an earlier work was featured in the Venice Biennale. In 2015, Stark’s sprawling mid-career survey, UH-OH: Frances Stark 1991-2015, opened at the Hammer Museum, Los Angeles before traveling to the Museum of Fine Arts, Boston. That same year Stark was the subject of a solo exhibition titled, Intimism, a survey of her video and digital works at The Art Institute of Chicago. In addition to being the author or subject of several books, Stark has had work recently included in prominent exhibitions such as the 2013 Carnegie International, the 2011 Venice Biennale, and the 2008 Whitney Biennial. This past summer in New York, Stark’s The Magic Flute screened at the Museum of Modern Art and featured in her third solo exhibition at Gavin Brown’s enterprise. Stark was born in 1967 in Newport Beach, California. She currently lives and works in Los Angeles, California. Discussing tea making at the Botanica del Barrio cart in the galleries. 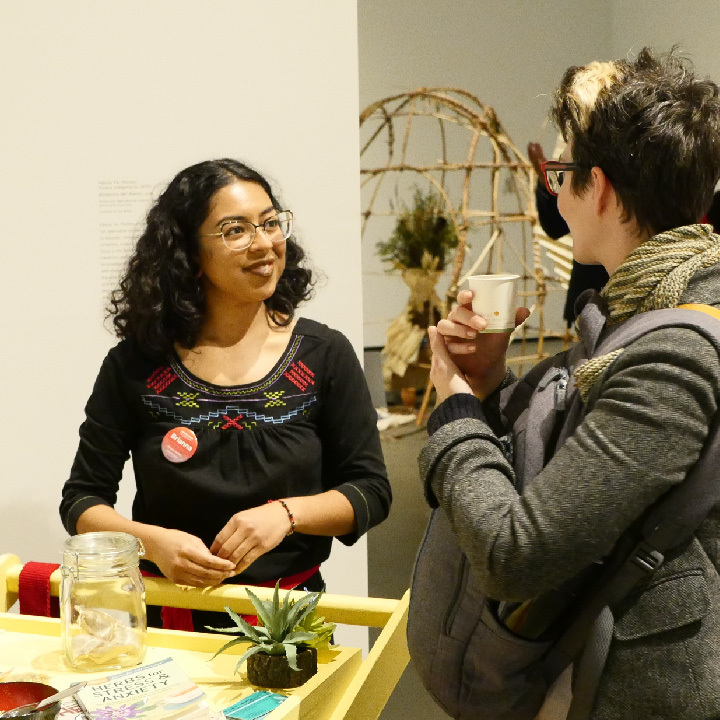 Stop by, learn about herbs and make your own tea blend in the Museum galleries with Xicanx Futurity artist Felicia “Fe” Montes’ Botanica del Barrio Cart workshop. Free and open to the public. 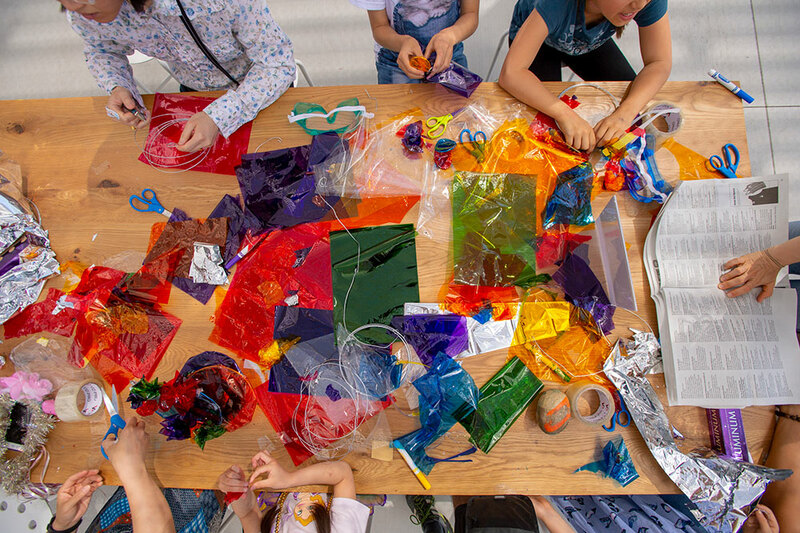 All are invited to join us in the Carol and Gerry Parker Art Studio for participatory activities every weekend between February 2 and May 5.